Do Facebook’s new changes mean a new social media strategy? StratitudeDigitalSocial MediaStrategyHow do the Facebook News Feed changes impact brands? The social media giant has been accused of disseminating misinformation, particularly in the past year around the US election. So, what exactly does it all mean? Friends before brands! A user’s newsfeed will first display updates from friends and family, while videos, posts and photos from businesses and media outlets (public content) will appear later. 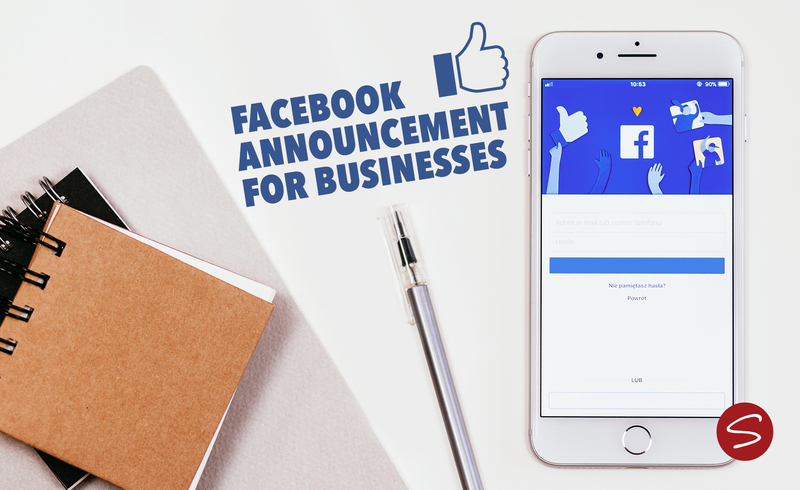 Businesses around the world will likely see a significant decrease in their organic traffic as Facebook implements the changes. While these changes are still months away, it’s important to take action now. Businesses will need to rethink their Facebook and social media strategies for 2018 to find better – and new – ways to reach their audience. This includes increasing social media ad budgets and creating content that is even more engaging and relevant to encourage users to comment and share. Get your posts seen by your followers – by asking for their help. A user must go to your Facebook page, select the dropdown under “Following” and choose “See First”. Use Facebook Live to produce more live videos rather than pre-recorded ones, as you can get instant interaction from your followers and engagement is six times greater. Focus on Facebook Stories on mobile and desktop. Stories appear at the top of the newsfeed, so they are the first thing your followers see. You can find out who is engaging with you, which allows you to build relationships and generate leads. Set up Facebook Groups to build communities to help you reach and engage with your target audience. It’s not about “selling”, it’s where customers can ask questions, get inspiration and share their stories. Your employees can be valuable micro-influencers, if you encourage engagement. It adds more value if they are the ones commenting, liking and sharing your Facebook posts. Look at areas that are growing including chat bots and Facebook messenger. These are alternative ways for you to connect quickly and effectively with your audience – where they spend their time. Get more marketing bang for your buck by looking at other social media platforms like Twitter, Instagram and LinkedIn. They could be more effective in reaching your target audience. Reduce Facebook post frequency to share only highly relevant and meaningful posts that encourage comments, likes and shares. You want to build relationships with people who are interested in your brand. Use giveaways to engage with fans. Everyone loves getting things for free, so use this simple technique to get followers excited and to encourage them to comment and share your posts. Our message is: Don’t panic! Businesses that work with the new algorithm and create content that is highly engaging, sharable and meaningful, will see their value increase. Struggling to get your business noticed on social media platforms? Call us on 011 449 7333 and we’ll talk about a strategy for your business so you can start getting leads that count.